WGN, Tribune’s independent station in Chicago that holds the rights to select Chicago Cubs and Chicago White Sox games, rolled out a new look for its sports graphics with the start of this year’s baseball season that combine a flat rectangular and hexagon shapes. 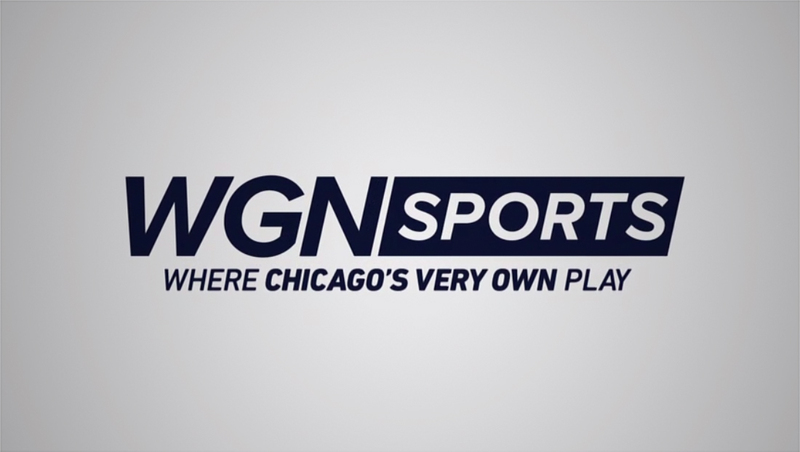 One of the most prominent aspects of the redesign includes a new logo for WGN Sports brand that utilizes the same font, Proxima, found in the redesigned logo and news graphics the station debuted in May 2017. Below this, the “Where Chicago’s very own play” tagline, which is a reference to the station’s main “Chicago’s very own” slogan, appears in Din, the other typeface also utilized in the news graphics package.